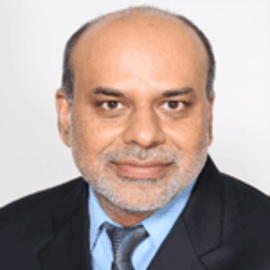 Dr. Arif Husain is Chief Economist and head of Food Security Analysis and Trends Service at United Nations World Food Programme (WFP) in Rome, Italy. He started working for WFP in 2003 and since then he has served in many capacities, including as Senior Programme Advisor for the Latin America and Caribbean Region, Deputy Chief of the Food Security Analysis Service, and Chief of Food Security Analysis in Sudan. Prior to joining WFP, he worked for the World Bank and also taught at the Hubert H Humphrey Institute of Public Affairs. Arif’s work focuses on analysing how external economic shocks affect food security and welfare conditions in developing countries as well as WFP’s capacities to deliver food assistance. His team is also responsible for providing analysis of current and emerging food security issues and their operational implications for WFP and humanitarian partners. Arif has substantial field experience in working on food security and humanitarian issues in conflict and post conflict recovery countries. His research interests focus on how latest information technologies can help to improve humanitarian response systems; understanding the linkages between poverty, hunger and conflict; and analyzing how global economic shocks impact food security, social protection and agricultural trade in developing countries. He has a Ph.D. in applied economics from the University of Minnesota.